The New Zealand Male Choir is formed from auditioned members who come from throughout the country. The Choir comprises of around 60 singing members from Bluff to North Auckland. All members are passionate about singing and enjoy the camaraderie the Choir offers. The Choir is also well supported by partners of the choristers who are involved in various aspects of the Choirs’ activities and keep the “lads” under some form of control. The Choir repertoire is broad, ranging from formal choral works, popular, show, folk, NZ Waiata, sacred and gospel . The aim is to present an entertaining and professional performance that varies with the audience and the type of concert. This challenges and extends the skills and talents of the Choir members. The Choir rehearses monthly in two sections, one in the North Island and the other in the South. The practices aim to achieve personal and collective vocal improvement as well as repertoire preparation. Collectively, usually a minimum of ·twice a year, the full Choir meets to rehearse and perform. The Choir has an interest in fostering and maintaining an enthusiasm for male singing and aims to show how this can be a rewarding, enjoyable and creative activity. It aims to celebrate the beauty of singing and of our unique New Zealand choral music with communities through several regional concerts a year. It also tours internationally with every 5 years a tour the northern hemisphere and every 2 to 3 years throughout Asia/Australasia. These tours aim to promote the Choir, lift it standards of performance, improve its profile, attract new members and provide members and their partners with a fun and memorable experience. A professional music team manage the musical quality and performance of the Choir, take rehearsals and manage performances. The Choir also produces CDs with the latest mentioned on the web home page. The Choir is managed by an executive committee that supports the Choir and directs the Choirs’ development. It is representative of the both North and South island members and is elected on an annual or bi-annual basis. If you are interested in being a singing member of the Choir please visit the “Join” page on this site. Joe brings a background in Operatic and Choral music. Being a fine bass singer himself Joe has sung with the Voices of New Zealand Chamber Choir and as a soloist throughout New Zealand and Australia. After graduating from the Queensland Conservatorium with a Dip Mus (voice) and a Post Graduate in Opera Performance he returned to Hastings to teach at the Eastern Institute of Technology (EIT) Opera course for two years. He then spent time as a freelance performer working as soloist with most of the opera companies and choral societies throughout the North Island. Joe attended EIT to study for a Teaching Diploma (secondary) gaining the Head of Music position at Karamu High School which he held for 12 years progressing to Head of Performing Arts Faculty for 3 years while still being HOD Music. Joe is leading a number of Choirs and is heavily involved in the music and choral scene in the Hawkes Bay. 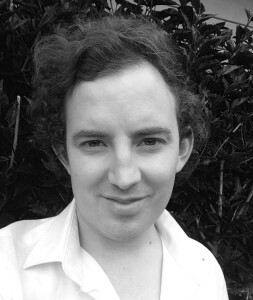 He is active within the New Zealand Choral Federation, is Trinity College of London rep for the region and a singing teacher in his spare time. Alex returned to NZ in 1998 after spending 16 years overseas working for several major theatrical companies, including Cameron Mackintosh Productions, The Really Useful Company and the Victorian State Opera Company, in various capacities, including conductor, vocal coach, keyboardist and repetiteur work for shows such as CATS, Pirates of Penzance, Jesus Christ Superstar, Les Miserables, Aspects of Love and Phantom of the Opera. Alex was also one the first women in NZ to work as a professional conductor, with her initial appointment as Assistant Conductor for the Marriage of Figaro for the NZ National Opera Company, followed by shared conducting duties with Sir William Southgate for several of the NZ Ballet Company’s productions. Before leaving for overseas, Alex also spent several years at TVNZ, as a session musician and vocal repetiteur, working with a range of top TV personalities. Since returning from Australia, Alex has combined her work as a Clinical Practice Supervisor and Practitioner, with musical commitments such as touring throughout NZ and internationally for 6 years as an Accompanist for the professional musical performance group, Operatunity. 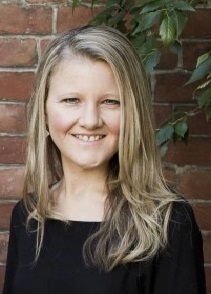 Alison is based in Christchurch and works professionally as a concert pianist, accompanist and teacher. She received her Masters degree and the Certificate of Post Graduate Studies in solo piano performance from the Royal Scottish Academy of Music and Drama in the United Kingdom; a First Class Honours degree and Diploma in Arts from Victoria University; a Bachelor of Music degree majoring in Musicology from Canterbury University, and also the F.T.C.L. diploma in solo piano performance. Alison has performed in the United Kingdom, Denmark, Australia, and throughout New Zealand. 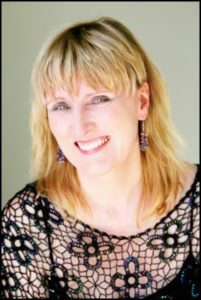 She has performed with various orchestras, has recorded for Concert FM, given solo recitals throughout NZ, as well as appearing as accompanist with many different instrumental soloists and singers. Over the last few years, Alison has worked with the NZ Opera company, and also the formerly known Southern Opera company, as a repetiteur and accompanist for opera rehearsals and in concert. She has also been an accompanist with the National Youth Choir, University of Canterbury, Burnside High School, St. Andrews College and other schools around Christchurch. Paul is a pianist, song accompanist and musical director whose performance interests span classical genres, opera, jazz and musical theatre. As a concert and recital accompanist, Paul’s interests reside mainly in the vocal repertoire, incorporating classical song, opera, musical theatre, popular song and jazz. Paul is an accompanist for the New Zealand Singing School, held biennially. Since 2008, Paul has worked with multi-platinum artist ‘Yulia’ and continues to tour with her as her piano and musical director. Yulia and Paul have collaborated on a range of live performance and recording projects. 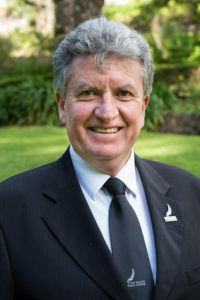 Paul grew up in Hawkes Bay where he maintains a teaching practice and is a faculty member of the New Zealand Singing School. Away from the piano Paul’s interests include architectural history and practice, which he studied at Victoria University between 2003 and 2010. Paul has also performed with Operatunity since 2013. Together with brother Stephen Carnegie-Jones, Paul also operates a busy family-based catering and hospitality business.